On the National Day of Prayer and Remembrance following the 9/11 attacks, Graham spoke of the “mystery of iniquity and evil,” of “the lesson of our need for each other” and, ultimately, of hope. He never built a megachurch, set up a relief agency, launched a political lobby or ran for office. 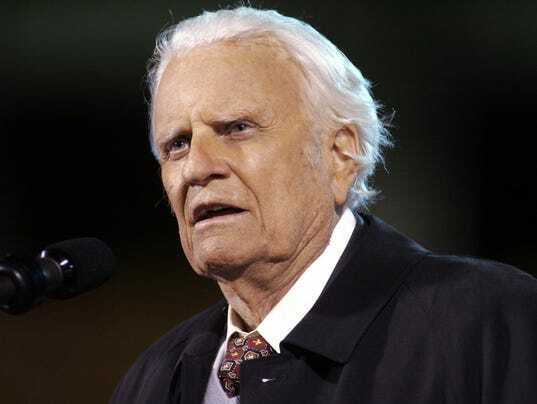 Yet he redefined American Protestant life by popularizing Christianity’s core message — Christ died for your sins — downplaying denominational details and proclaiming the joys found in faith. Graham was, however, drawn to power. 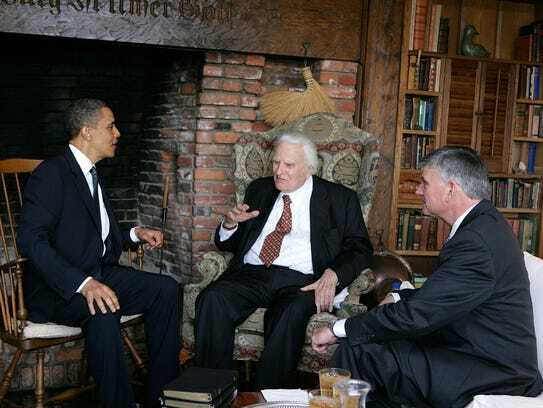 Eventually, he met, prayed with, comforted and joked with 12 U.S. presidents. He found a fine balance that allowed him to become America’s pastor, Democrat or Republican. North or South. “I’ve never called him on a specific issue, but his influence is bigger than a specific issue, as far as I’m concerned. 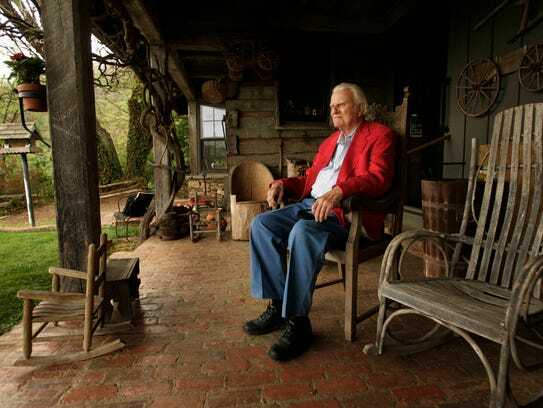 He warms your soul,” Bush told an ABC 20/20 special on the preacher and politics. He brought to the microphone a “corny but effective humor,” Wacker says, which made him a convivial talk-show guest. Graham logged more than 50 radio or television interviews with Larry King alone. YouTube has a tape of Woody Allen interviewing the evangelist, who draws almost as many laughs as the caustic, agnostic comedian. 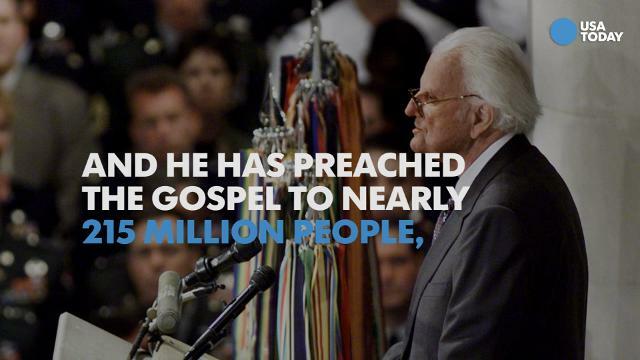 The Billy Graham Evangelistic Association he founded, now led by his son, Franklin, used every communications innovation possible to carry the Gospel to any willing heart on Earth. 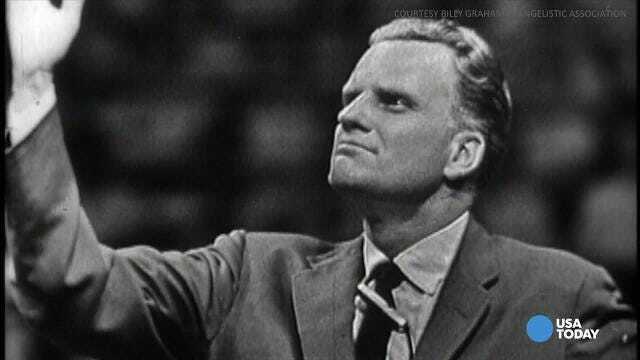 More than 214 million people in 195 cities and territories heard God’s call in Graham’s voice and witnessed him deliver the Gospel in person or by satellite links. His projects included founding Christianity Today magazine in 1956 and writing more than 30 books. “Fundamentalists saw him as excessively liberal, and liberals saw him as too literalist in talking about sin and salvation. 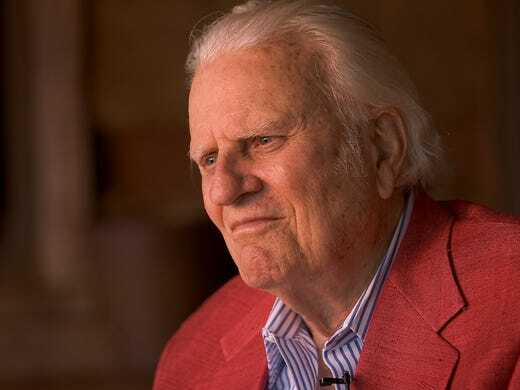 His wonderful balance between them is critical to his legacy,” says John Wilson, editor of Books & Culture, a sister publication of Christianity Today magazine. Graham’s last decades were slowed by illness and injury. He was diagnosed with Parkinson’s disease in 1989, felled by broken bones, bouts of hydrocephalus and rounds of pneumonia. 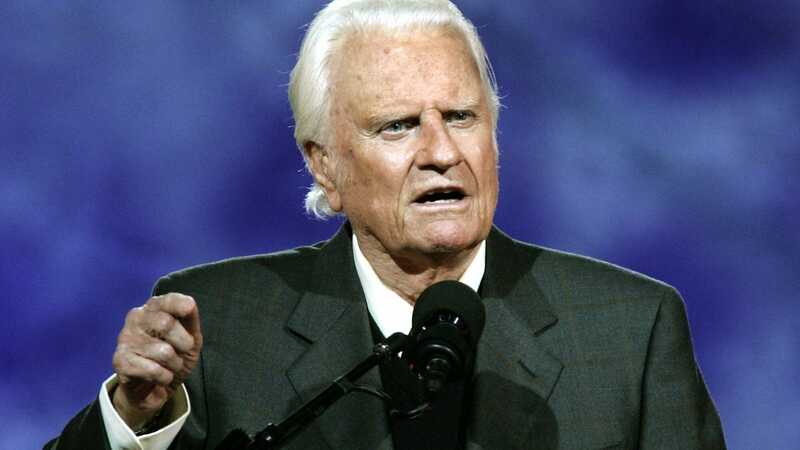 Graham’s last crusade, in June 2005 in New York City, drew 242,000 people to Flushing Meadows; 8,786 made a new commitment to Christ and thousands more renewed or rejoiced in their faith. 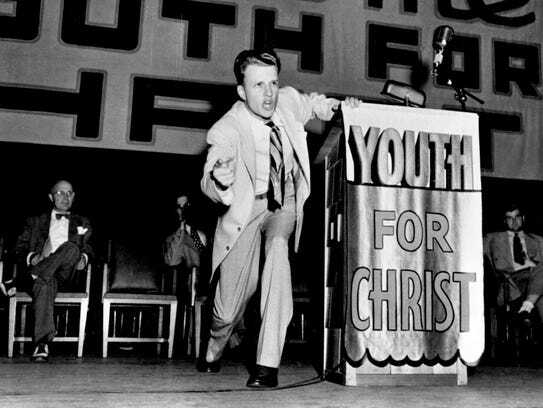 Though Graham’s shoes could likely never be filled, his son, Franklin, has taken over in some aspects — leading The Billy Graham Evangelistic Association and becoming a confidant of President Trump, including speaking at his inauguration. But Franklin’s message has swayed from his father’s, leaving a mixed legacy for the Graham name. Franklin has mocked both Islam and LGBT rights. He uses his following on social media to raise funds for “persecuted Christians,” boycotts businesses that use gay couples in advertisements and blasts the separation of church and state as the godless successor to Cold War communism. But his father’s words for years offered peace and perspective. ‹ Surpriză fenomenală la Jocurile Olimpice !